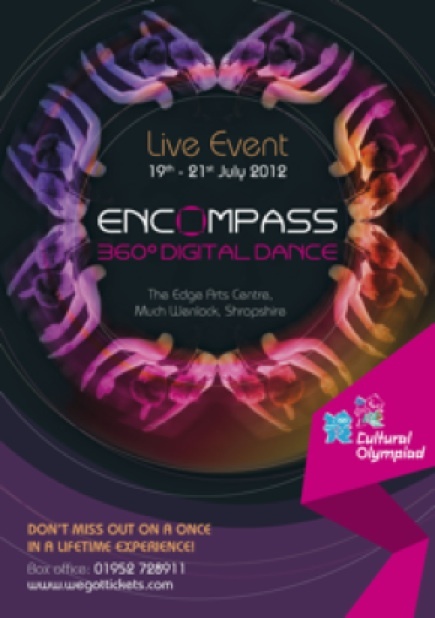 This weekend – July 19th – 21st – Sonia Sabri will be choreographing for and performing with Encompass 360 Digital Dance at the Edge Arts Centre, a vibrant arts centre located on the campus of William Brookes School in Much Wenlock, Shropshire. The show that’s being created for this fantastic venue is an immersive dance event based on the 8 Olympic values as part of the celebrations that lead up to the 2012 London Olympics. The event combines dance, film, and digital arts; some of the dancing will have been filmed in advance, some will be performed live over the three dates – all of it will be projected onto Igloovision’s 21 metre dome on a screen that surrounds the audience inside the Igloodome in full 360 degrees. The dance piece will be fully immersive – projected around and above the heads of the audience giving the impression of moving within it.